Robin Nuse is intrigued by the fleeting effect of light and shadow on the landscape. Using pastel, she creates bold composition of late autumn trees surrounded by the first winter snowfall. Nuse was greatly influenced by her grandfather, Roy Nuse, a Pennsylvania Impressionist painter. Robin has been juried into the Pastel Society Of America. 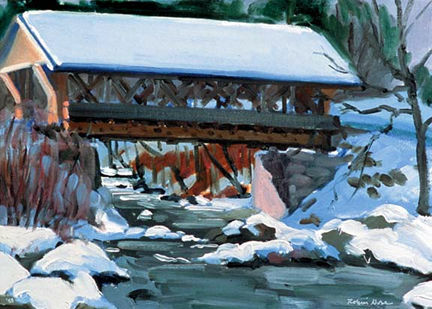 Her current gallery affiliations include Long River Studios, Lyme, NH, Sleeper House Art Gallery, Stowe, VT and Potter & Slack Fine Art, Litchfield, CT.